The villainous CZARFACE (known affectionately as Zack) is up to his old ways once again, terrorizing “the media darlings that the mainstream caters to” on a brand new album titled First Weapon Drawn. Although he can sometimes straddle the thin line of hero and villain, the character of CZARFACE is a necessary evil in the grand scheme of things, and it’s been an entertaining journey witnessing his ascension to supervillain status since his introduction on 2013’s self-titled album. 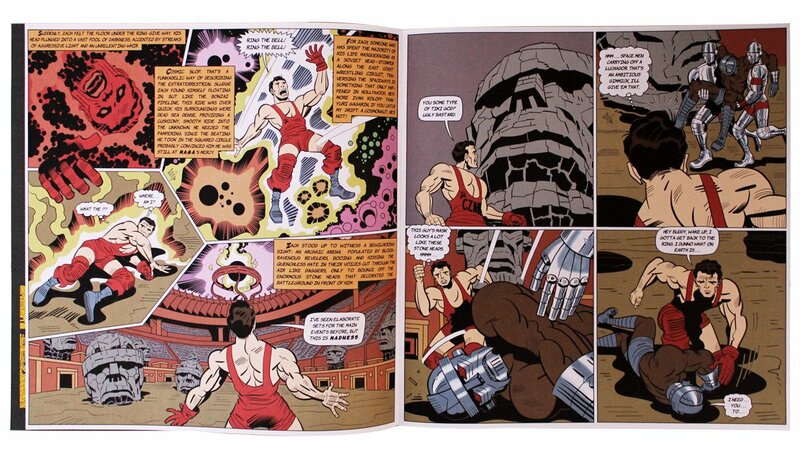 The new record from 7L, Esoteric and Inspectah Deck pays homage to Power Records’ read-along audio comic books of the 70’s and features incredible artwork from L’Amour Supreme, whose panels seem to pull direct inspiration from the incomparable Jack Kirby, with direct nods to Kirby’s early run of Darkseid, John Buscema’s original interpretations of Ultron and a bit of some Planet Hulk thrown in for good measure. Originally released last Saturday for the annual Record Store Day celebrations, the entire adventure record—featuring narration by Seamus Ryan—can be streamed below and purchased on gatefold with an accompanying 24-page comic via Fat Beats (when and if it’s ever restocked).